Bluehost Review-One of the Top Web Hosting Companies? Bluehost is an economical means to host a website. Prices are reasonable and the customer service is great. In my opinion it is one of the top web hosting companies for the price. They have a good overall track record. It was founded in 1996 by Matt Heaton who presided as CEO until 2011. Then Dan Handy took over as CEO in 2011 and is still the current one. 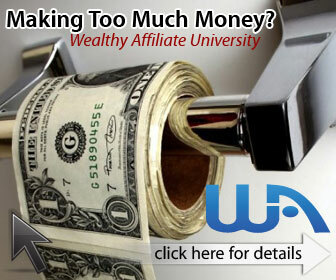 If you want to build any successful business online or even earn extra money, you really need to have your own website. There are ways of getting free websites, but owning your own domain is a great place to get started in the online world. I have personally used Bluehost, as well as other hosting providers. It has been the one I have chosen to host most of the websites I have over the years. As I stated above it is one of the best web hosting companies for the price. They have excellent customer service. I had a couple of problems when I setup my first website. I just gave them a call and they walked me right through it. They took only a bit to get it up and running. It was a great. You also have the ability to run multiple sites from your account. The starter account allows you to have one website, the next step up allows you to have unlimited websites, web space and bandwidth. One more thing I want to talk about here is not the last of the good, but it is very important to me. They are WordPress Friendly. It is nice when you don’t know anything about coding. You can still set up a website with little effort. WordPress is a tool that more and more people are using so having a hosting service that has a friendly platform to WordPress, is a must for most people. There are many other things that are good but I just wanted to give a sampling. It is not the end all, be all in hosting, while they do have great service, the server does go down occasionally. The good news is normally it is not down that long. The longest I have ever seen the servers down was for about 5 minutes. Other services I have used have had down time of hours or even days. I personally have never experienced that with this great hosting company. A great responsive customer support team, is exactly what they have. They are based in the US and still provide 24/7 phone and live chat support. Since the customer support is based in the US you will have almost no problem understanding the service team. If you are looking for one of the top web hosting companies around for a great price, look no further than Bluehost. It can be used for anyone from a home business, small business, personal blog, or even professional websites. As I stated earlier the starting prices for the service is $3.95/mo. They have two other tiers $6.95/ month and $14.95/month. I have attached a copy of the rate plans and differences below. If you want to have a website you need to have hosting. I did this web hosting review to help those that need the service to get up and running. Anyone can use them, even if you have an existing website. Transferring websites is easy and they can help you if you want. This is not a way to make money online, but you need it in order to build a business online. You can get an account for Bluehost here. Learning how to build an online business is not something that happens overnight. See my top recommendation on how to build a successful online business here. I have heard about Bluehost before, but never know much about them. Thanks to your review, I now do. Great information. I did learn a lot. Nice to see the breakdown of the price as well. Very helpful! Thank you for the comment. I really do like them if you couldn’t tell. It is the main place I host my websites. Just keep focused and keep reading and writing all you can. See my post on being committed. I think you will benefit from it. Let me know if I can help you in anyway. Thousands of thanks for the great review on Bluehost. Your review contains loads of valuable information which provided enough information to analyse the product. Thanks for this useful review. Wishing you great success! Keep up the great work. I will come back to your website to learn more information. Thank you so much for your kind words. If you are looking for something in particular, please let me know.